Priyanka Gandhi Vadra and Jyotiraditya Scindia will visit Lucknow today on their first trip to the state after being appointed the Congress general secretary in-charges of eastern and western UP respectively. Priyanka Gandhi Vadra's message was sent out through the Congress app and phone calls. In a message to Congress supporters and voters ahead of her first visit to Uttar Pradesh as party general secretary, Priyanka Gandhi Vadra said that she hopes to "start a new kind of politics in which everyone - even the weakest - will be a stakeholder". Priyanka Gandhi Vadra and Jyotiraditya Scindia will arrive in Lucknow today on their first trip to the state after being appointed the Congress general secretary in-charges of eastern and western UP respectively. 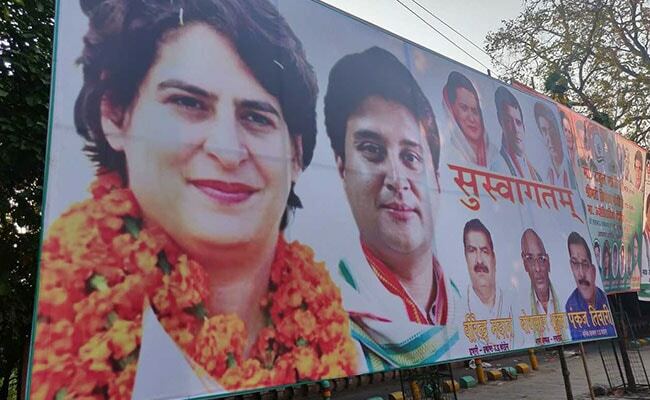 The Congress has plastered much of Lucknow with posters publicising Priyanka Gandhi Vadra's Lucknow visit.